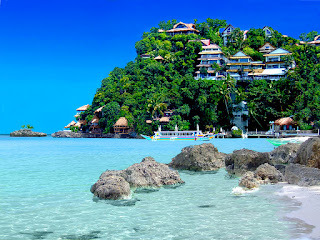 The first best tourist spots Philippines is Boracay. 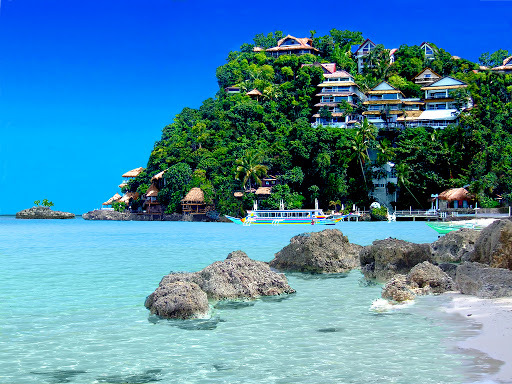 Boracay is a small island of Aklan Province which is located 315 km from the capital city of Manila. Boracay Island is famous for relaxation and a tourist destination for world travelers seeking tranquility and nightlife. In 1990, Boracay received an award as one of the best beaches in the world and in 1996 was also selected as the best tropical beaches in the world. Recreational vehicle that can be enjoyed in Boracay is scuba diving, helmet diving, windsurfing, kiteboarding and many more. This tourist spot also features a golf course. Philippines next best tourist attractions are Banaue Rice Terraces. Banaue Rice Terraces is the oldest terraces rice fields in the province of Ifugao, Philippines. 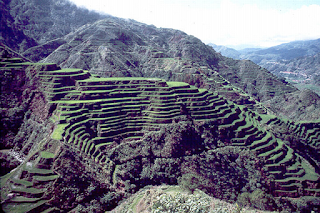 Banaue rice terraces is estimated that about 2000 years old. The rice terraces are made by a tribe of Batad only use their hands and simple equipment and has become a world heritage site in 1995. Located at an altitude of 1500 meters above sea level, banaue rice terraces can be family attractions. The next best tourist attractions in the Philippines is the Chocolate Hills. Chocolate Hills is a region which has 1500 over the hill. The hills are covered in green grass which then changes color to brown during the dry season. 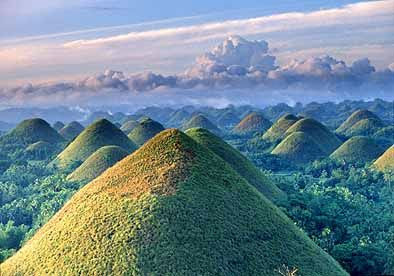 Chocolate Hills is located in the province of Bohol, Philippines. Chocolate Hills is also a famous tourist spot in Bohol and the government makes the Chocolate Hills as a major tourist destination in the Philippines. Two resorts have evolved in these places. The next best tourist spots Philippines Mayon Volcano. Mayon Volcano is located in the province of Albay, Philippines. Mayon volcano Mount Fuji is also dubbed the Philippines due to its shaped like a cone. Mount Mayon also be an active volcano in the Philippines over the past 400 years. Has been noted that about 50 times the Mount Mayon erupted. 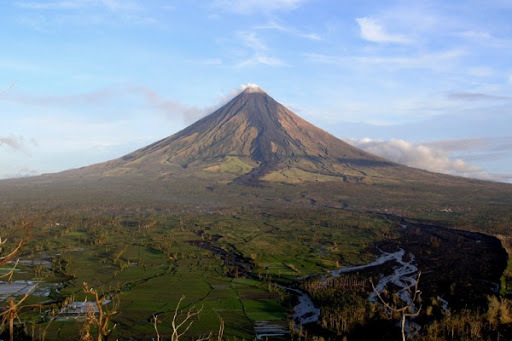 For those who like to travel and extreme mountain climbing, Mount Mayon munkin very suitable to be one of the favorite tourist attractions. The next best tourist attractions is Rizal Park Philippines. Rizal Park also known as Luneta National Park, located on Roxas Boulevard, Manila, Philippines. Rizal Park is also one of the largest parks in Asia and has become a favorite tourist spot on the national holiday. 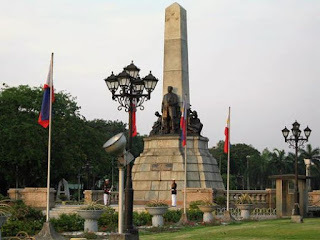 Rizal Park is an important site in the history of the Philippines against the Spanish colonization. The name is taken from the garden Philippine national hero José Rizal. The next best tourist attractions in the Philippines is the Philippine National Museum. 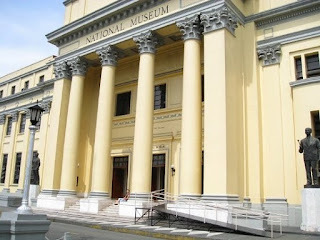 National Museum of the Philippines is a museum as well as educational institutions, science and culture. The museum was founded in 1901. The museum is located in the capital of Manila, Philippines. National Museum of the Philippines also acts as a government oversight body in restoring their culture. For those who love to travel while learning, this museum must be visited with relatives or loved ones. The next best tourist attractions in the Philippines are the Tubbataha Reef. Tubbataha Reef is a protected area that is located in the middle of Sulu, Philippines. In December 1993, the UNESCO-designated sites sabagai of this underwater world heritage site with a unique coral atoll and density of marine life. 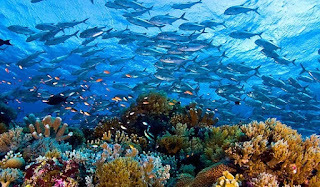 Tubbataha Reef is also recognized to have 75% and 40% of species of coral reef fish imaginable worldwide. Tubbataha Reef belongs to the best dive sites in the world. The next best tourist attractions in the Philippines is the island of Mactan. 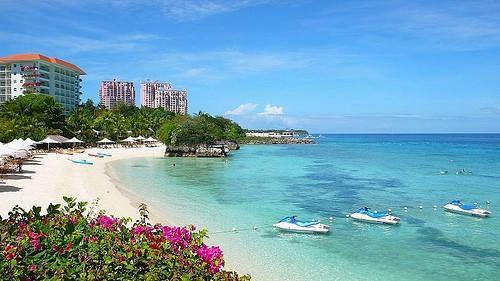 Mactan Island is the most populous island which lies in the province of Cebu, Philippines. Mactan Island offers various types of tours ranging from snorkeling, diving, cultural activities and jet skis. Mactan Island is also an industrial island furniture, guitars and other musical instruments. The island with a population of more than 400 thousand inhabitants also has an airport in the middle of the island. 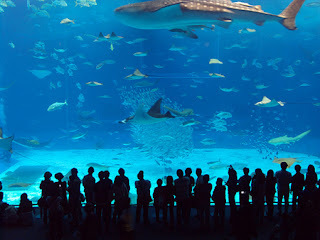 The next best tourist spots Philippines is Manila Ocean Park. Manila Ocean Park is an oceanarium which is located in Manila, Philippines. Manila Ocean Park began operations on March 1, 2008. The size of the park is larger than the Sentosa Underwater World Singapore imaginable. Manila Ocean Park has a volume of 8000 square meters and a depth of 25 meters with a glass tunnel arkrilik. The park became a favorite tourist spot both local and foreign tourists. 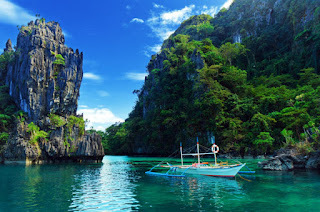 Philippines next best tourist attractions are Coron Island. Coron Island is the third largest island in the archipelago Calamian, Palawan, Philippines. Coron island known by their Japanese shipwrecks on the role of the world to 2. In the vicinity of the wreck has rock formations that are often used as a spot of diving and snorkeling. Visibilas with water up to 24 meters and the water is relatively calm, Funnel Island is one of the most popular tourist attractions for wreck diving.